Today we have a quick update on three different orders that are in progress. 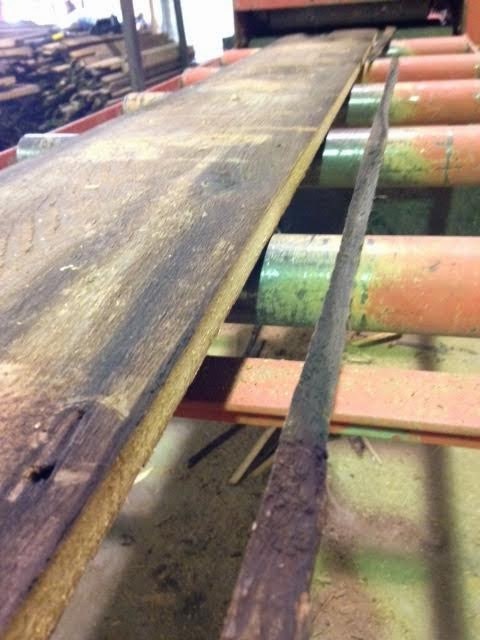 Today we are working on edging Weatherboard for order #9514. 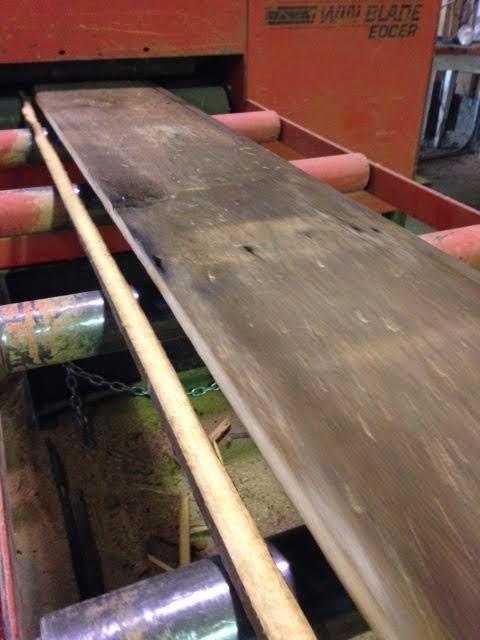 The board below was edged at 9 3/4″ and will finish out as a 9″ wide board once ran through the moulder. 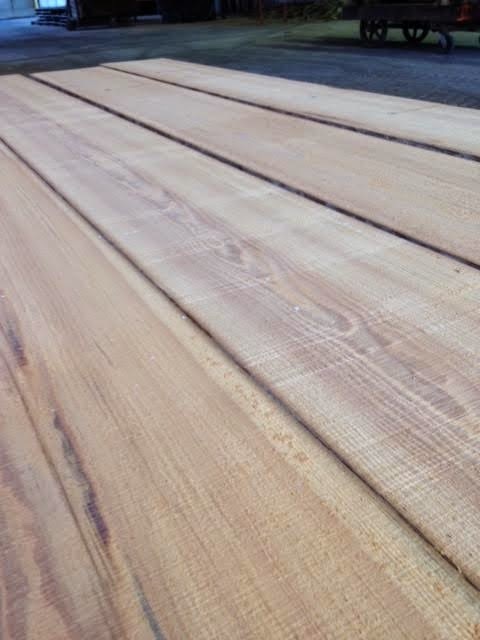 The end of last week and early this week we have been sawing Heart Pine for order #9480. 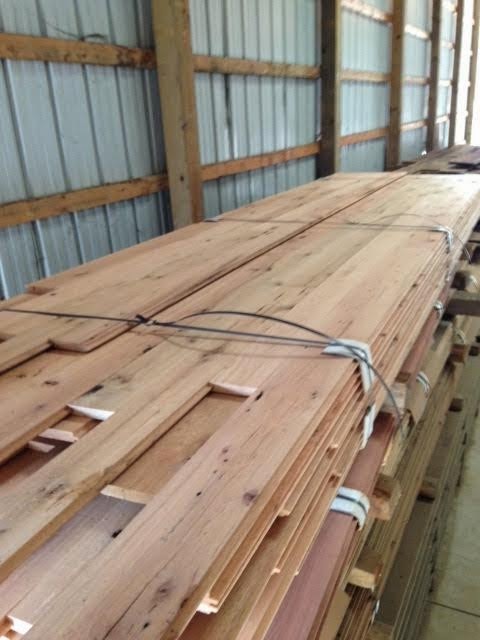 This order is for all 3 1/4″ wide boards. 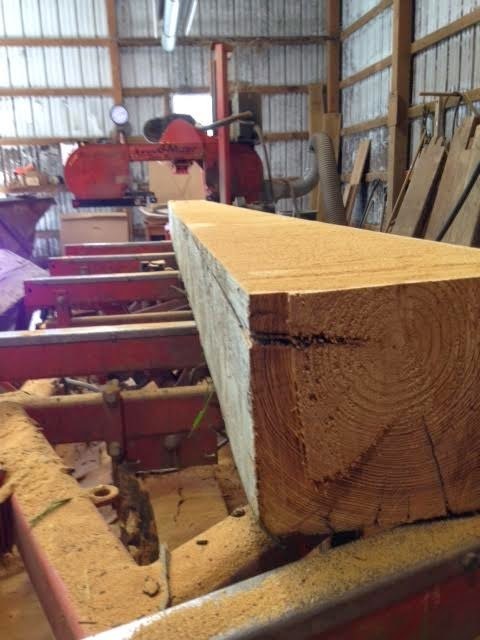 This particular Heart Pine came from a building in Ephrata, PA. 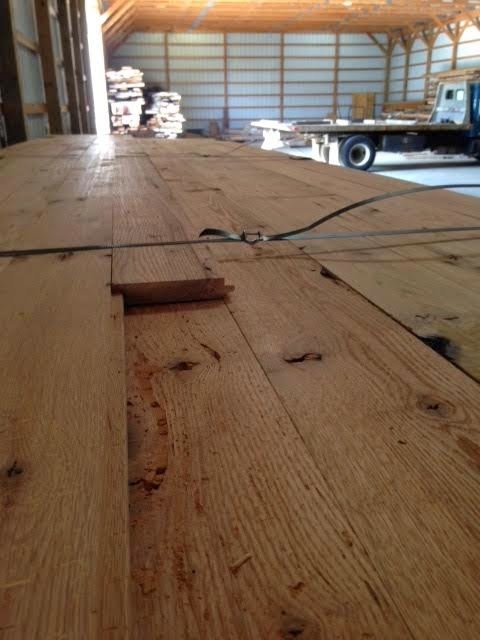 The 465 narrow Oak portion for order #9509 is complete. 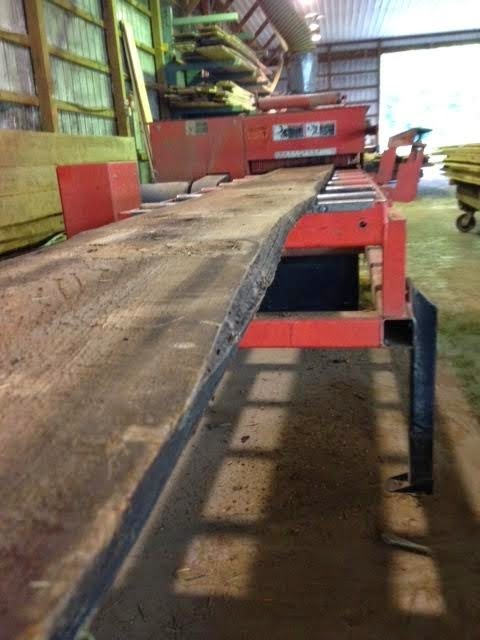 If everything goes as planned we will be making the 150 lineal feet of trim by the end of the week. Also, remember to check out our Etsy store. We just added some new items! Posted in Uncategorized on September 2, 2014 by sharp_admin.